The rivers of Ireland are one of the most intriguing elements of the landscape. In proportion to the size of the island of Ireland, there exists a huge amount of rivers and river kilometres. The River Shannon is the longest in the British Isles. Apart from the 10 longest rivers listed below, there are shorter but significant rivers of great importance to the towns and cities they pass through or where they enter the sea. Some of these would include the River Lagan, which exits through Belfast, the River Foyle, which forms a very wide expanse of water as it exits through Derry City. The Avonmore and Avonbeg Rivers form the famous Meeting of the Waters joining as the River Avoca and then enter the Irish Sea at the busy port of Arklow in County Wicklow . The River Avoca is somewhat unusual as it begins as two separate rivers, the Avonmore (in Irish, Abhainn Mhór, meaning “large river”) and the Avonbeg (Abhainn Bheag, meaning “small river”). These two rivers converge to form the Avoca. This happens at the “Meeting of the Waters”, a place of incredible scenic beauty.The river itself is located in the county of Wicklow and enters the sea at Arklow. It flows through the Irish village also named Avoca which is the setting for the BBC series “Ballykissangel”. Despite its amazing natural beauty, major concerns have arisen in recent years concerning pollution of the river. The Bandon is a river located in Co. Cork. It rises in the Shehy Mountains in the west of the county and flows eastward through Dunmanway, Balineen, Enniskeane, Bandon and Inishannon to Kinsale Harbour. The river is a good fishing area and has an estimated catch of 1300 salmon and a similar catch of sea-trout per year. The Bann is the longest river in Northern Ireland, stretching a total of 129 kilometres from the Mourne Mountains in County Down to the northern coast of Ireland, entering the Atlantic Ocean at Portstewart. The Bann is unusual as it flows into the very large Lough Neagh at Bannfoot, Co. Armagh before continuing its journey northward. The has led to the River Bann being divided into two rivers; the Upper Bann which lies to the south of Lough Neagh and the Lower Bann which lies to the north. Numerous activities take place along the Bann, including cruises, canoeing, rowing, waterskiing, angling and several others. The Barrow is one of the “Three Sisters” rivers which are comprised of the Nore, the Suir and the Barrow. All three rise in the same mountainous area of Tipperary and flow in a southerly direction. It is 192 kilometres in length (the second longest in Ireland) and enters the Atlantic Ocean at Waterford. It also links with the Grand Canal at Athy, which connects Dublin with the Shannon in the west. The Barrow also passes through the town of New Ross in Co. Wexford where the replica famine ship “The Dunbrody” can be seen. The River Boyne, one of the more well-known Irish rivers, has its source near Edenderry, Co. Offaly. It is approximately 112 kilometres in length and enters the Irish Sea at Drogheda. The River Boyne is a highly popular fishing area, particularly for trout and salmon fishing, and also boasts many beautiful scenic views along its course. However, the Boyne is most renowned for its prominence in Irish history and folklore. The Battle of the Boyne took place in 1690 near Drogheda along the banks of the river and would be considered one of the most famous battles in Irish history. Steeped in Celtic mythology, the River Boyne is also believed to be the location of “The Salmon of Knowledge”, an ancient Irish legend. The River Corrib is located in Co. Galway and is one of Ireland’s shortest rivers, a mere 6 kilometres in length. Despite this, it is quite well-known as it flows through the heart of Galway City after travelling the short distance from Lough Corrib where it rises. The Corrib is also one of the most powerful rivers in Ireland and excellent for whitewater kayaking, although a certain amount of experience is recommended given the level of difficulty. Rowing is also popular in this river, and river cruises take place regularly aboard the “Corrib Princess”. The River Erne is located in the north-west of Ireland, rising in Beaghy Lough in County Cavan and flowing in a general north-westerly direction. It is approximately 120 kilometres in length and winds its way through a number of loughs including Upper and Lower Lough Erne. The river derives its name from ancient Celtic mythology, from the name of a princess named Éirne . The Erne is also remembered in a famous Irish ballad, “Buaichaill Ó n Éirne”. Boating, water-sports and swimming also take place on the River Erne, in addition to trout fishing. One of the more noted rivers in Ireland is the River Foyle which flows through Derry City. It is a confluence of the rivers Finn and Mourne at the towns of Lifford in County Donegal and Strabane in County Tyrone. From here it flows to the City of Derry where it discharges into Lough Foyle and ultimately the Atlantic Ocean. The River Foyle is also the fastest flowing river in Europe for its size. The river is home to a number of sporting clubs and a small mooring facility is available for small yachts in Derry City. The main sports on the river are canoeing, sailing, and rowing. Swimming is prohibited because of the dangerous currents. The River Lagan rises on the slopes of the Slieve Croom Mountain in Co. Down and flows for 60 kilometres in a general north-easterly direction to Belfast City, where it enters the Irish Sea. The River Lagan is sometimes referred to as the birthplace of the Titanic, which was built in the Harland and Wolffe shipyard in Belfast and launched at ther mouth of the Lagan before making its way to Southampton for its doomed maiden voyage. Fish stocks in this river declined drastically at one stage but in the last few years have begun to recover somewhat. Rowing is also popular on this river. Stretching a total of 90 kilometres, the River Lee flows eastward across Co. Cork, rising in the Shehy Mountains in the west of the county and flowing through Cork City before entering the Celtic Sea near Cobh. The Lee is synonymous with Cork sport, with the Cork Gaelic Football and Hurling teams commonly referred to as “The Leesiders”. Numerous water-sports also take place on the River Lee including rowing, kayaking and swimming. Most notably, the “Vibes & Scribes” Lee Swim, a 2000 metre swim for charity, takes place on an annual basis and attracts thousands of spectators. The river also provides an 8 kilometre stretch of salmon fishing. The Liffey rises in the Wicklow Mountains and flows for 125 kilometres through counties Wicklow, Kildare and Dublin before entering the Irish Sea at Dublin Bay. Because it is the main river associated with Dublin City, the capital of Ireland, it is quite well known. Historically, the river Liffey was a highly important trade river, even as far back as Viking times, and in the present age is still an important river for trade. The Grand Canal and Royal Canal connect the Liffey with the Shannon, further enhancing the Liffey as a trade route. The river is used by a number of rowing clubs and the “Liffey Descent” is an annual 27 kilometre canoeing event. The River Mourne is a tributary of the River Foyle and is located in Co. Tyrone, Northern Ireland. It rises near Newtownstewart and flows in a north-westerly direction before merging with the Foyle at Strabane. It is reputed as one of the best salmon fishing area in Northern Ireland. There is also an excellent run of sea trout from the end of June onwards. The river is home to a number of angling clubs, including the Sion Mills Angling Club which manages the fishing rights of a significant part of the River Mourne. Rising in the Ox Mountains in County Sligo, the River Moy flows 110 kilometres through Sligo and Mayo before entering the Atlantic Ocean at Killala Bay. Along its course it enters the historic town of Ballina. The Moy Valley is very popular with tourists due to the numerous historic ruins, churches, abbeys, which can be seen in this area of the countryside. The River Moy was once one of the best salmon fisheries in Europe, however due to drift net fishing off the coast salmon numbers have declined dramatically. This eventually resulted in drift netting for salmon being banned in 2006. The Munster Blackwater (so called to differentiate it from the Leinster Blackwater) is one of Ireland’s largest rivers and in the Irish language is known as “An Abhainn Mh ór” which translates as “the great river”. It has also been referred to as “the Irish Rhine”. The river is approximately 170 kilometres long, rising in the Mullaghareirk Mountains in Kerry, flowing east through Co. Cork before turning sharply south at Cappoquin, Co. Waterford and entering the sea at Youghal Harbour. The Munster Blackwater is best known as an excellent area for salmon fishing, although in recent years salmon stocks have sharply declined. The second of the Three Sisters, the Nore, rises on the slopes of the Devil’s Bit mountain in Co. Tipperary and flows in a south-easterly direction for 140 kilometres before joining the Barrow just north of New Ross in Co. Wexford. The Nore also flows through the Mount Juliet estate, one of Ireland’s top golf courses. Salmon and brown trout are plentiful and fishing rights on the Nore are held by Kilkenny Fishing Club. Historically, many water-reliant industries were based on the Nore, such as breweries and distillaries. Measuring 386 kilometres in length, the River Shannon is the longest river on the island of Ireland. Flowing in a southerly direction, the Shannon rises in the Shannon Pot in Co. Cavan on the slopes of the Cuilcagh mountain, passes through or between 10 different counties and enters the Atlantic Ocean at the Shannon Estuary near Limerick City. The river Shannon is significant from Irish historical, economical and social perspectives. As far back as the 10th century, Vikings used the Shannon in order to attack and raid Irish monasteries further inland. In the following centuries the Shannon played an important roles in many of the battles and wars which took place in Ireland as it effectively divides the western part of the island from the east. The Shannon boasts much beautiful scenery along its course, and a wide variety of activities take place including cruises, watersports, etc. According to Irish mythology, the River Slaney derived its name from an Irish chieftain named Slainghe who resided in the area. The Slaney is located in the south-east of the country, rising on Lugnaquilla Mountain in Wicklow and flowing southwards, mainly through Co. Wexford. It is 117 kilometres in length and is noted in particular for the abundance of wildlife along its course. Deer are common in the northern part of its course, in addition to otters, herons, etc. Because of the abundance of wildlife, bird-watching is a popular past-time for many people in the area. The River Suir (184 kilometres in length) is the third of the Three Sisters and flows south from the Devil’s Bit mountain before turning sharply east at the Comeragh Mountains (forming the border between Co. Waterford and Co. Kilkenny) and entering the Atlantic Ocean at Wexford Harbour. The River Suir has a rich history; stone settlements near the mouth of the river indicate that human settlement of this area dates back as far as 4000 B.C. It also formed the western border of the ancient Irish Kingdom of Osraí (the Barrow formed the eastern border). In recent years, Viking settlements have been discovered on the banks of the river. Many activities now take place on the Suir, with fishing and boating being two of the more popular ones. The River Tolka flows from near Dunshaughlin in Co. Meath into the Northside of Dublin City and from there into Dublin Bay. This river is particularly noted for its flooding. This caused much damage to residential areas in the past which has resulted in the building of extra defences in recent years. The Tolka is very popular for fly fishing, with large supplies of trout and salmon. 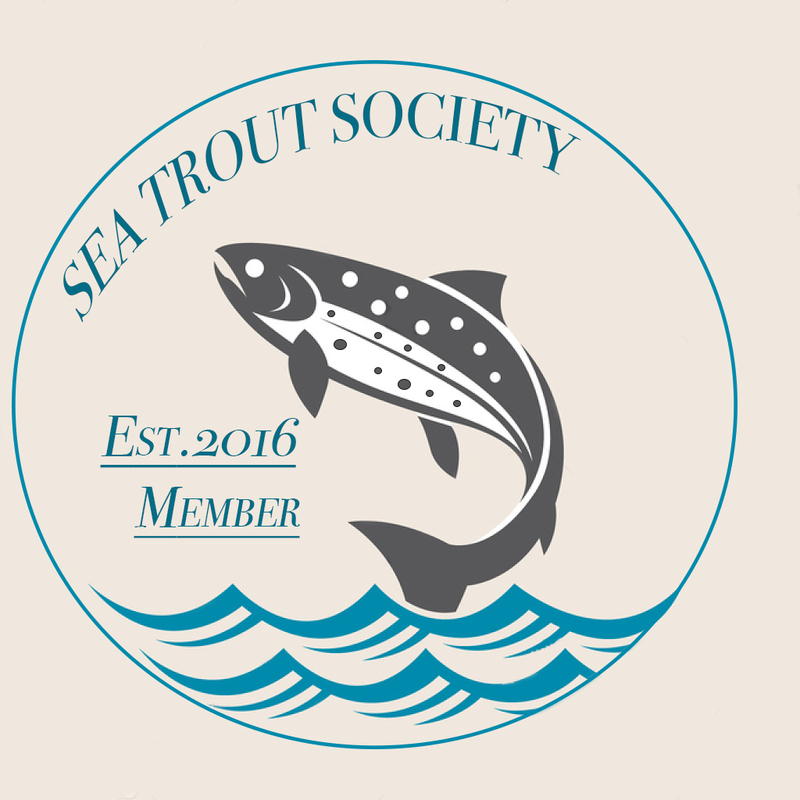 Fishing on the river is controlled by the Tolka Trout Anglers club and riparian owners. The River Tolka is also connected to the Royal Canal.